This entry was posted in Core Data, iPhone Development, Programming, Swift and tagged core data, ios, migrations, swift, xcode by Jameson Quave. Bookmark the permalink. I followed this latest tutorial and was able to get the application to run without issues. Clicking on the button to add a new record successfully added the new item to the list. The one issue I found was that the data from the original version of the data model did not appear to be migrated. In the tutorial in the ViewDidLoad function you have a series of commands that repopulate the table with several entries. Since I wanted to test whether the data was actually migrating I removed these lines and when the app launches the table is empty. Of course, after adding new items they show up and do persist after completely closing the app in the simulator. Is there some other step that needs to be taken to have the pre-existing data migrated to the new schema or did I simply miss something? I guess I spoke too soon. 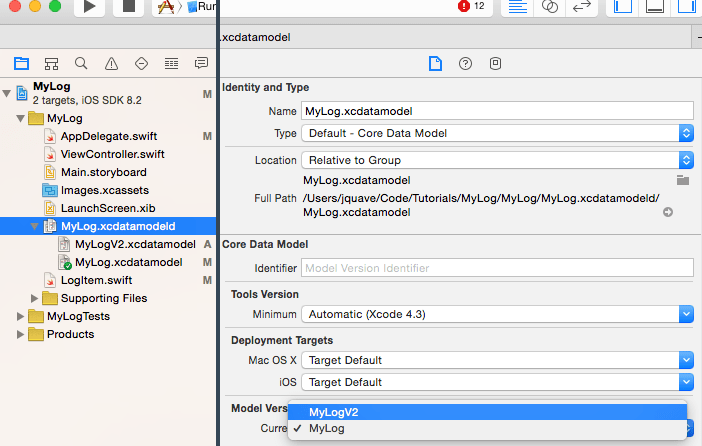 Working from a fresh copy of the MyLog app (before the data migration piece was added) I went through the tutorial again. Now it seems that all is well. In trying to trace down what could have gone wrong before I think I may have inadvertently added the fullTitle attribute to the original data model instead of the V2 version. I did find it but not before having run the app once. When I added the new attribute to the correct data model version and removed it from the original the records must have been lost. Thanks a lot for this material ! This is maybe the clearest tutorial I’ve read so far concerning Swift and CoreData. Jameson, thanks for this great tutorial, it helps me a lot! That’s a great tutorial, thank you for this work! Great tutorial. I use this in my app, but I got “unexpectedly found nil while unwrapping an Optional value” error. How I am going to initilize NSManagedObject? If you see this error, start removing explicit unwraps. For example your entity! is being unwrapped, try using optional binding so you can find which one is nil. Good job! 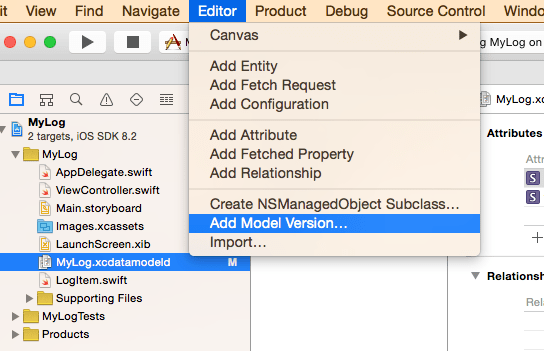 This tutorial was of great help to understand how Swift apps and core data works! 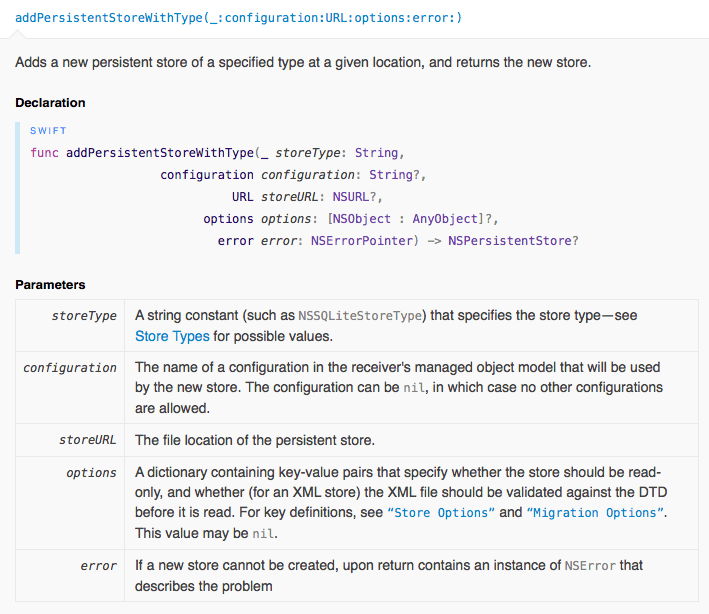 And definitely so useful to have code that works in last version of Xcode. Keep it up man! Sorry. I think it’s my fault. It looks like everything works fine.